The Burke Museum held a Behind-the-Scenes Night for members last evening. They opened up many of their collections that are generally not accessible to the public or are simply not on view right now. While I found them fascinating, especially the rare and old textiles and baskets, the viewing spaces were crowded and tight – not very conducive to sketching. After getting my fill of that, I wandered out to the regular exhibits, where I never run out of things to sketch. 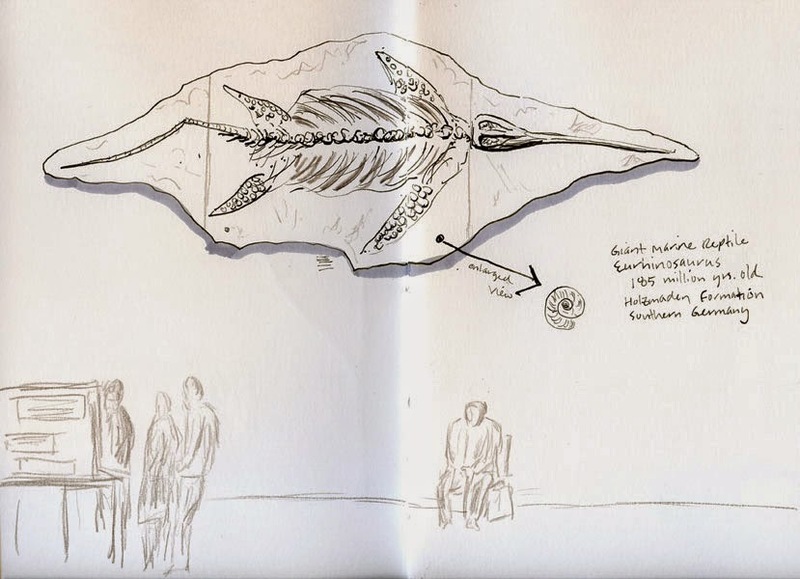 My first stop was the fossil of a huge Eurhinosaurus, a 185-million-year-old marine reptile. After sketching it from a distance, I walked up to it to get a closer look and spotted (relatively) tiny fossilized nautilus shells around the reptile. Next I saw “Here and Now: Native Artists Inspired,” an exhibit of the work of contemporary artists who have been influenced by their ancestors. On temporary loan to the museum in this exhibit is a Kwakwaka’wakw transformation mask that was carved in the late 19th century on Vancouver Island. 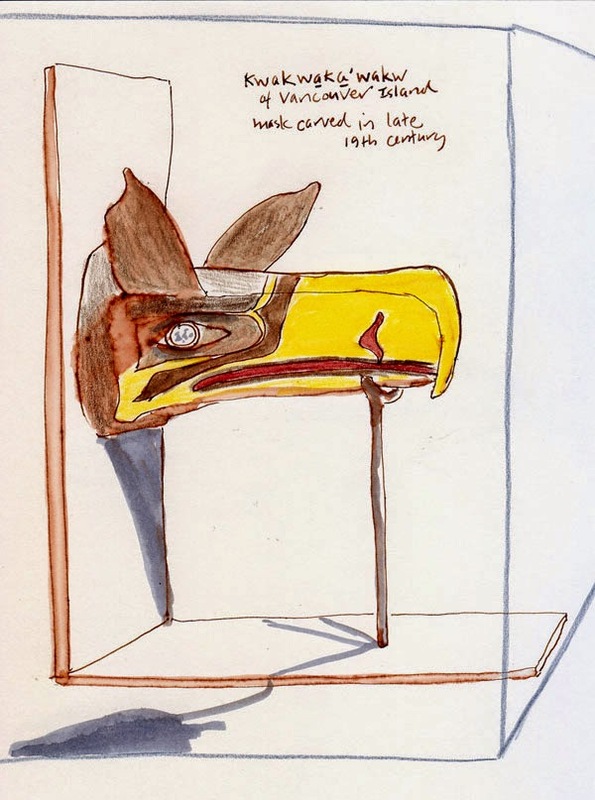 The original inspiration for the Seahawks logo, the mask will be on view through July 27. This is a good time to make a pitch for the Seattle Urban Sketchers outing on March 15, which will be at the Burke! I hope you’ll be able to make it – the Burke is full of amazing things to sketch! Details coming soon.